First-year Tabor College golf coach Mike Jamieson works the phones and the computer on the recruiting trail for the return season of Bluejay golf. Play­ing golf at Tabor was probably, by far, the best time in my life. The education was excellent, and everything about it. “In the back of my mind, wherever I coach, I want to create that same atmosphere for all of my athletes because I want them to feel the same way I did.” Courtesy Photo. Heading into early summer before the start of another school year, Mike Jamieson, Tabor College’s new golf coach, is feeling pretty good about the challenge he has accepted to restart a golf program at Tabor this fall with men’s and women’s teams after a 12-year absence. For Jamieson, himself a successful golfer at Tabor, the challenge is as much personal as it is professional. During his four years at Tabor (2002-2005), Jamieson achieved a lot on the course. He made all-conference four years in a row and was named first-team all-conference two years. His senior year, the golf team qualified for regionals and Jamieson placed in the top 10. “Tabor’s been the best place I’ve ever been in my life,” Jamieson said. “My wife and I went there. Play­ing golf at Tabor was probably, by far, the best time in my life. The education was excellent, and everything about it. Jamieson has coached at Owens Community College in Ohio as an assistant men’s coach. His team qualified for Nationals, finishing ninth. He also served as head coach at Buena Vista Univer­sity as the head women’s coach. 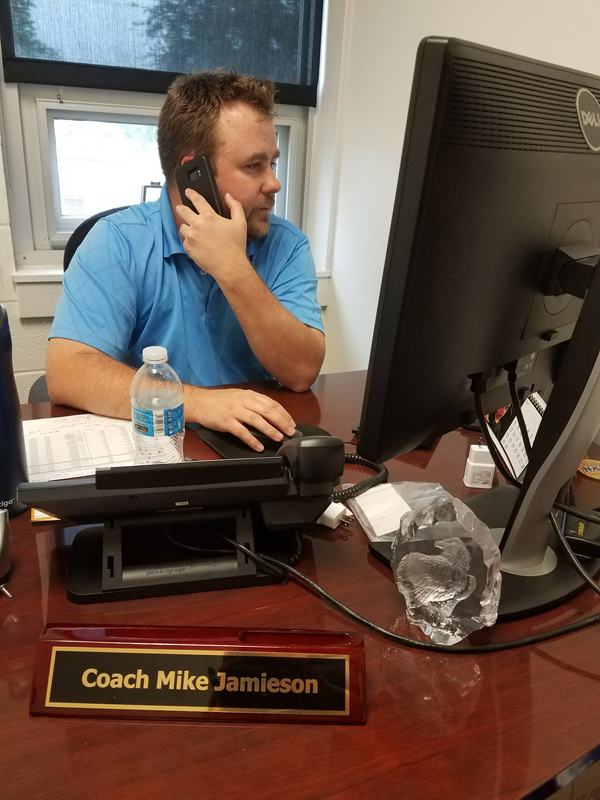 Coming on board at Tabor, starting an athletic program essentially from scratch has not deterred Jamieson’s enthusiasm for his current assignment. To have a program, a coach needs players. Jamie­son has been on the recruiting trail since he arrived on campus in Decem­ber. For golf, a “full team” requires five players for tournament play, but a college can enter additional teams of five if the tournament format allows it. “In my mind a ‘full team’ for me could be 40,” Jamie­son said. “You can only take five to a tournament, so your top five will be on Team A, and some tournaments allow you to take two or even three teams. “The problem is, that means more entry fees and traveling expenses because you have to stay the night in motels,” he said. Recruiting a full women’s team has been more challenging for factors beyond Jamieson’s control. For one thing, fewer high schools offer team golf for girls. Beyond that, with Jamie­son coming on board in December, that gave him only half a season to recruit female golfers. “On the women’s side, I would say 75 percent of the girls have their decision made by then,” he said. “Usually, November is a big signing period for women. Starting in December is a really tough time for women’s golf. Jamieson envisions golf could attract even more students to Tabor, even if they are not officially on the traveling teams. Budget is always an issue to consider, particularly for small colleges such as Tabor. Even though golf teams are generally smaller in size and have reduced equipment needs compared to some sports, funding a golf program is still significant and sometimes complicated. “I guess at the beginning stages, all the questions were like what’s the budget going to look like?” Jamie­son said. “It’s hard to say the budget is huge, but at the same time, golf isn’t really a sport that generates a whole lot of revenue. There’s not many spectators watching us. Dealing with vendors has been a mixed challenge. “Probably up to a Divi­sion I school, kids will provide their own equipment,” Jamieson said. “However, all colleges don’t provide the golf bags, the golf balls, the polos—like the uniform stuff. “It depends on what vendor you do use,” he added. “A lot of times, the college athletic department will have a deal with someone like Under Armor, so you get discounts on Under Armor, but then everything has to be Under Armor. Another key recruiting factor are the facilities that a team uses for practice and for competition. “I know just because we are in a smaller town, we don’t have quite the facilities that a Friends (University) or somebody like that might have (in Wichita),” Jamieson said. “The good news is, you’re only allowed to practice so much per day. 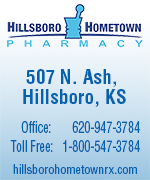 You’re in school until 3 p.m., and we have a course available here in Hillsboro that is readily available to them. It’s fairly wide open. “It’s a great practice facility,” Jamieson said of the nine-hole Hillsboro course. “That’s exactly how I market it. It’s definitely not a championship golf course, but it’s a good practice facility. Tabor has designated Sand Creek Station in Newton as its “home course” for championship tournaments with the team’s first championship tournament this fall. Sand Creek has hosted major tournaments, including the U.S. Golf Associa­tion’s U.S. 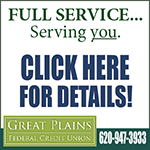 Amateur Public Links Championship in 2014 as well as the Missouri Valley Conference cham­pion­ships. The college golf season has a season in fall and spring. Tabor’s fall schedule has three two-day tournaments arranged, including the Tabor College Invita­tional Oct. 15-16 at Sand Creek Station. The other two-day tournaments posted are the Central Christian Invite at the Turkey Creek Course in McPherson Sept. 10-11, and the Southwestern Christian Invite Sept. 17-18 at the Lake Hefner Golf Course in Okla­homa City. At this writing, three dates are open for additional two-day tournaments this fall. “There’s a lot of people out there who say coaching golf is easy—anybody can do it, it’s just managing a group of guys,” Jamieson said. “You can manage the (athletes), but to make them better you need to be a good coach. “I had a passion for sports psychology, so I got a sports psychology masters because I wanted to be the best coach I could be,” he said.